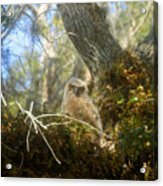 There are no comments for Babe In The Woods. Click here to post the first comment. 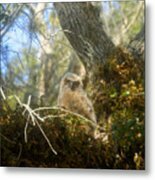 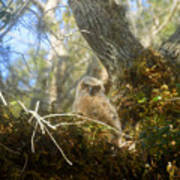 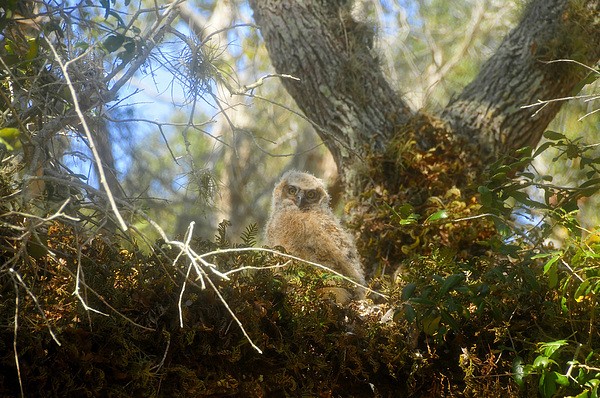 Image of a very young (1 month) baby Great Horned Owl sitting in a live oak tree (Nest) in a wild area of coastal Florida.